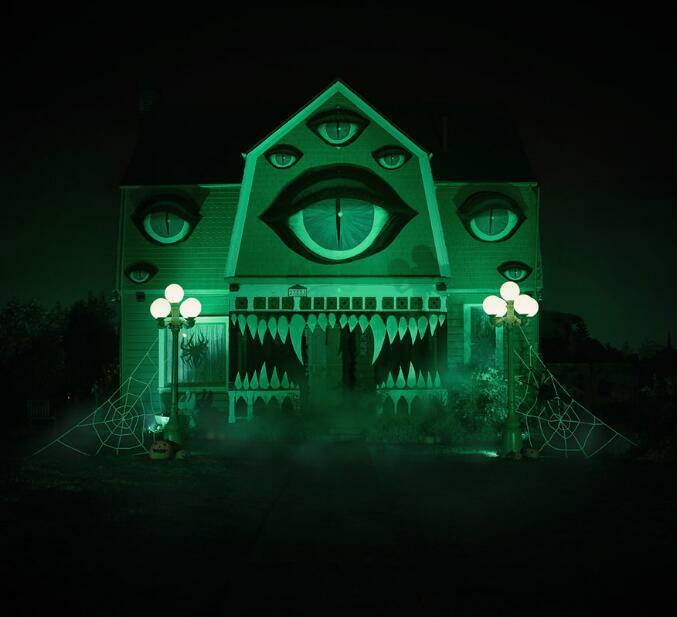 You’ve probably heard it before, but serious, this has to be the coolest haunted house ever created. 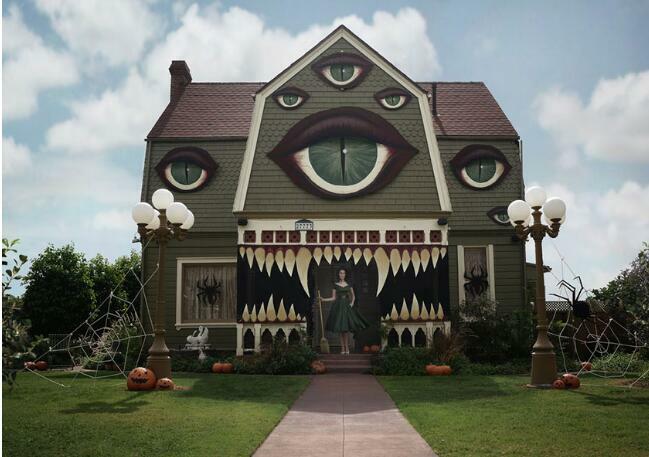 Talented artist and photographer Christine McConnell told SF Gate that she was recently watching the movie “Monster House” when she realized her parents’ Southern California home had the perfect vibe to become a sentient haunted house. 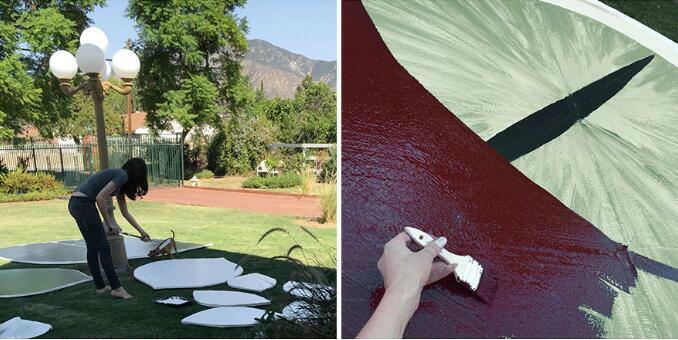 The site reports that McConnell spent four 12-hour days transforming the home. Using hand-painted foam-core board designs, she turned her parents’ house into a giant, fanged, sleepless house-monster. 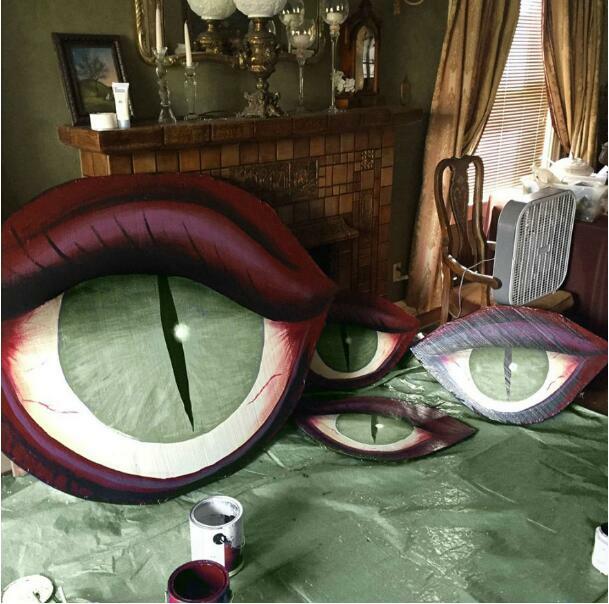 The eyes and fangs were made of carefully painted foam-core boards. Jack o’lanterns, giant spiders and a little mood lighting completed the look. The artist is already well-known for her stunning horror-themed baked goods like the interesting creation below, and her first cookbook is due out soon. McConnell was even kind enough to share photos of the process for other Halloween enthusiasts too. How fun would this be? !